The night before my flight to Mexico I was having dinner with my niece who is 4 years old and she asked where I was going, I said to Mexico, and she asked again: why do you want to go to this country, I told her: “Because I am curious about their history and what happened , some people were ruling the locals there, they built pyramids and led an ancient civilization; then some other people arrived and conquered them, I have been always curious about the where and the why…. And I really want to see the pyramids”. I guess those were the main things in my mind about Mexico, the food, the people and the culture were a great addition to scene. The country over exceeded my expectations, the archaeological sites are impressive, the food is outrageously good and their people are some of the warmest on the globe. I really to add this on, I felt safer than what everybody talks about, the city of Mexico apparently has changed so much in the last 5 years in terms of security, transportation and enjoyment. My journey took a couple of weeks and I wished I could have done more, there are some destinations that deserve more attention and some others where you would love to rest a bit more e.g. 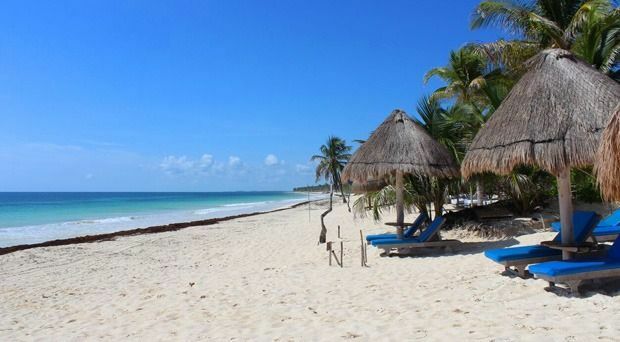 Tulum (I could have stayed there a month). Our overland trip took us from Mexico city to the Yucatan Peninsula, driving through the stunning Mexican mountain range (Sierra Madre) and the not to miss cities such as Puebla, Palenque, San Cristobal de Las Casas and Campeche. The Mountain range in Mexico has one of those sceneries you never get tired of staring at, even though we had to drive some days for 4 or 5 hours, the scenery keeps transforming into this amazing beach landscapes that never end. Puebla is a lovely traditional Mexican town not far from Mexico city, during the journey there are breathtaking views of the volcanoes and it is good to visit some interesting churches where you can still appreciate how the Spaniard and indigenous art syncretized in the 16th century, once you leave Mexico DF, you feel like you have travelled centuries into the past of Mexico. Oh, I forgot to mention, I am huge fan of history, in Mexico city the National Palace and the Anthropology museums are a jewel of history, do not miss them out, they will give you a great introduction to the heart of Central American History. Let’s go back to the mountains, after Puebla we made our way to Oaxaca, some of my friends have been here and they spoke highly of this town, it didn’t disappoint; Oaxaca delivered the very true image of Mexico with tremendous people, colourful streets, vibrant markets and Mexican food of prime standards, San Cristobal de Las Casas was right out of a picture frame as well. I already started to feel like I was part of those adventure magazines, but even better, this story was going to be in my life now. Off Oaxaca we went to visit Monte Alban, and well, I have to say, I was lucky to see Machu Picchu in many opportunities and I never thought other archaeological sites could affect me in the way that one did, thanks to life I was wrong, Machu Picchu in Peru is something you should not miss in this life but I got to be honest about the Mexican Sites: Monte Alban, Palenque, Uxmal & Kabah and Chichenittza (I could not stop staring at the Piramide Mayor) were some of the most beautiful architecture pieces of our past on earth. 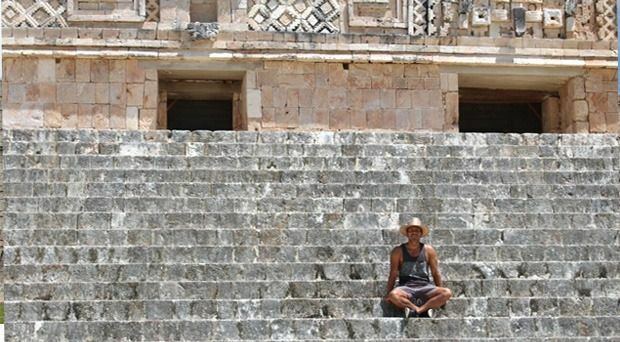 Montel Alban is the perfect pyramid complex, Palenque the most beautiful site within the jungle, Uxmal & Kabah the mysterious one and the precision at Chichenitza is truly hard to believe; I did wonder what these people were into and why. There is an impressive canyon near Tuxtla Gutierrez, very easy to fly there, this canyon called Sumidero has some walls up to 1km, the hanging waterfalls are to die for and you also have good chances to spot fresh water alligators, black spider monkeys and different species of birds. 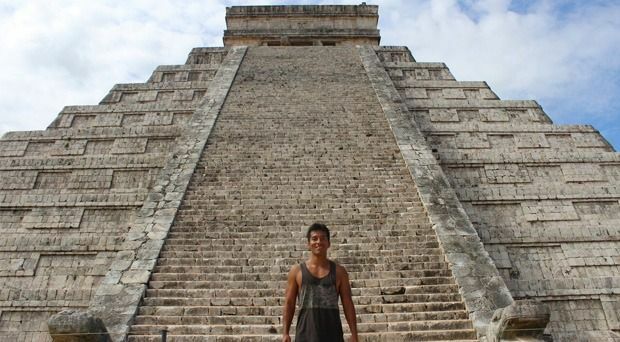 After exploring the mountain range and the most remote Mexicans towns, we managed to end this adventure arriving to the Peninsula de Yucatan, many people think this is a beach destination but the area is also immerse in history, nature and relaxation, there are still some good sites to visit; visiting Chichen itza as early as possible is a must, when the site opens at 8am, there are less people, it is calmer and less humid. The Cenotes which are sinkholes created where a cave ceiling has collapsed are such an experience, not only in terms of history and tradition but also they might refresh your day in a sunny day. Most travellers head to this area searching for the right spot and time to rest, this can be found all over the Peninsula, places such as Cancun, Playa del Carmen or Beautiful Tulum can definitely take you to that little moment where we find peace, tranquillity, and ourselves within nature, nothing seems to have a fast pace in this space. I could keep writing about the Mexicans and their tremendous land, but I will leave some things to your curiosity, it is what took me there and I would always be happy to go back, my mind and great memories still take me there sometimes, got to say, travelling is a great part of life.